Last design version for this block. 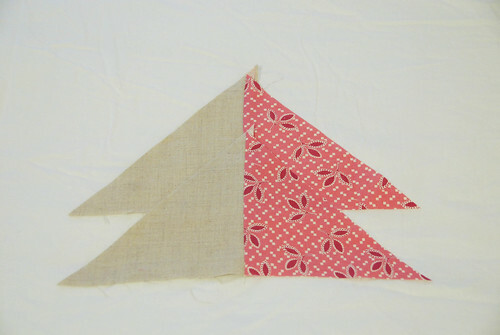 This is the quilt that I'm making for our bed (my first attempt at a quilt that large!). This design is the reason that I made the blocks. It's also the reason that I broke my fabric diet (more on that later). 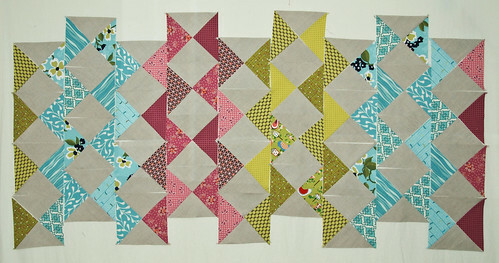 This quilt also uses the basic hourglass block. 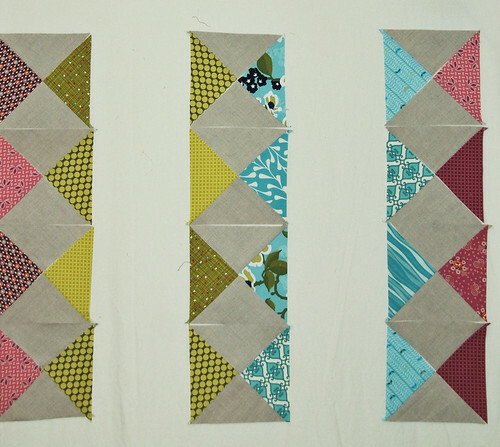 Your hourglass blocks will be made of 2 pieces that have the color fabric on the same side, but the fabrics should be different. Turn that bottom piece 180 degrees. 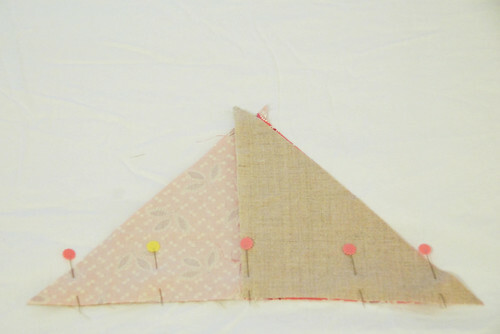 Place them right sides together and sew along the longest side (hypotenuse). The seams should nest nicely. Press the seam to one side. This will yield an 8.5" block, 8" when finished. 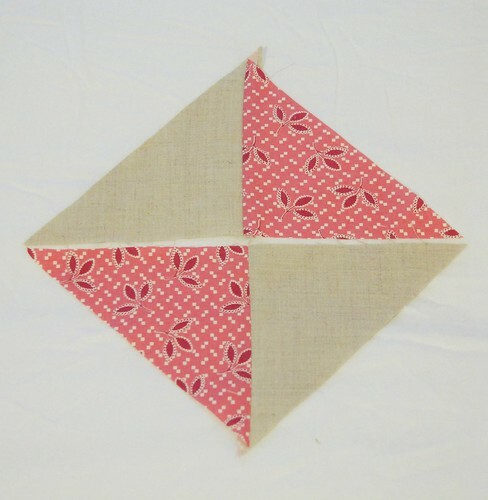 For my quilt I used 3 colors: pink, aqua and green. You will need to create hourglass blocks that mix those colors (see below). 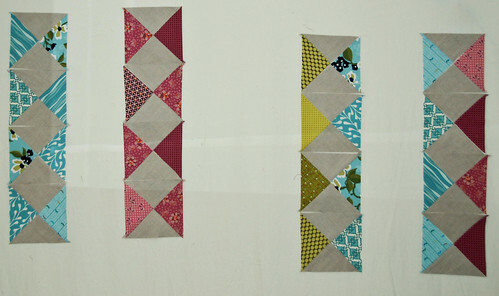 You will also need hourglass blocks that are mono-chromatic. I feel like I'm not explaining this one well, so let me know if you have questions, ok? OK this in my humble opinion is just bl00in brill!